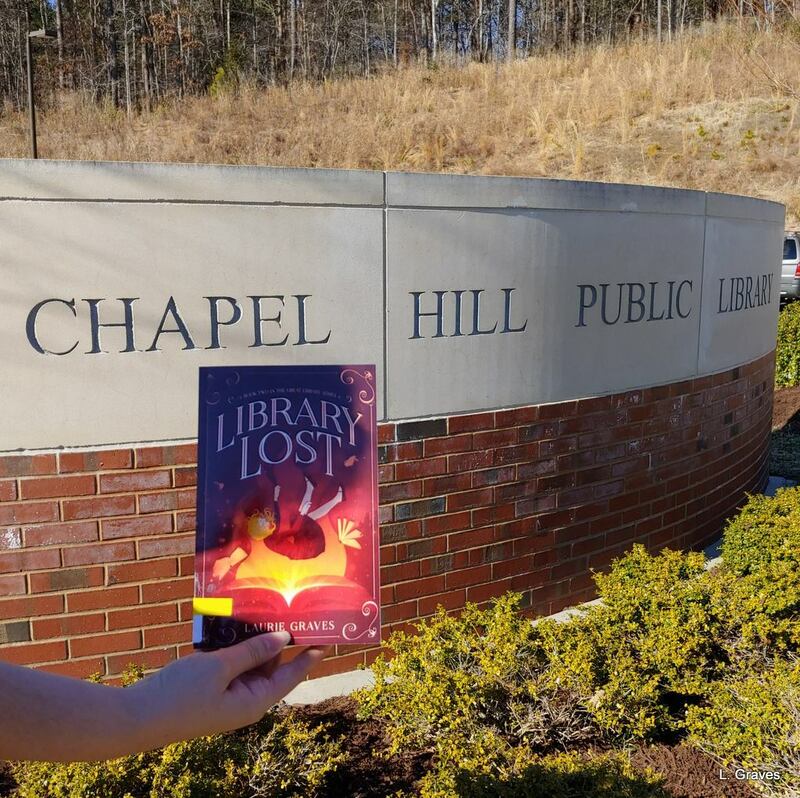 Recently, courtesy of my daughter Shannon, my book Library Lost traveled south to the public library in Chapel Hill, North Carolina. Readers, this is such a wonderful way to support writers—not just me—and it only costs a little bit of time. Now I know very well that not all libraries have big book budgets, but it never hurts to request the purchase of a book. And if the library does honor the request, checking out the book, even if you’ve already read it, gives the book a good start. Finally, when returning the book, take a few minutes to tell the librarian how much you liked the book and provide a brief synopsis. By calling it to a librarian’s attention, you will have given the book a little leg up, something that cannot be overemphasized, especially for indie writers. Librarians’ recommendations go a long way toward promoting a book. 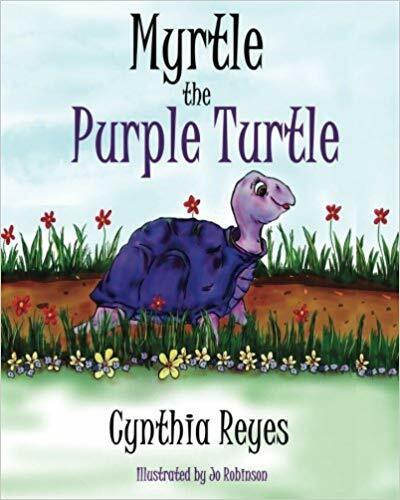 In the spirit of practicing what I preach, I’m going to ask my own Bailey Library to purchase Myrtle the Purple Turtle written by the fabulous Cynthia Reyes. 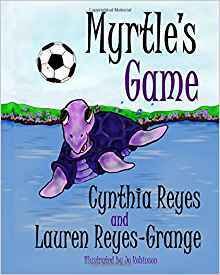 In addition, I will request Myrtle’s Game, again by Cynthia and also with her daughter Lauren Reyes-Grange. Both books would make for a terrific and timely program on bullying and inclusion, and I will be sure to mention this when I ask my library to purchase these books. Finally, if you do ask your library to purchase my books, and Maya and the Book of Everything or Library Lost are added to your library’s collection, I have a favor to ask. If you have time, take a picture similar to the one of Library Lost in front of the Chapel Hill Public Library. Send the picture to me, and I will feature it on my blog. What fun it would be to see either Maya or Library Lost or both in front of different libraries. Nice!!! I’m going to do the same this week. I’m new and don’t know how to comment, but I’m glad you brought this up. I didn’t realize that some libraries don’t carry even some of the popular books unless you ask them too! Had a situation with my Facebook book club where the people in Cleveland could get a book and the people from Albuquerque couldn’t. Even though this was an award winning best seller. So definitely get the library to buy the book even if it’s obscure! Thanks! A very low-cost way to support writers. It all sounds splendid, well done everyone. A terrific post, Laurie. What a great idea about a simple action that we can all take with our local libraries. Thanks VERY much for including the Myrtle books, and please thank Shannon hugely for taking action too! Many thanks! It really is a simple action that can help writers who aren’t best sellers. Thank you, thank you! A wonderful part of the blogging world is how we support each other. J > In the UK public libraries are in terminal decline, due to reducing usage by the public (especially younger people), and being starved of funds by local authorities. So many have closed – including our mobile library van. Now the nearest is 30 miles away, at the Uist’s secondary school. Reading your comment filled me with such sorrow. To me, libraries are so important, both as places for books and for the center of communities. Very sorry that so many have closed in the UK. I wonder about the decline in usage by the public and if being starved of funds has anything to do with it. In my town of Winthrop, population 6,000, the library is as busy as ever. Children use it, teens, use it, young and old adults use it. Many programs there as well as computers for the public to use, but books are still very much the center. And the same is true for many libraries in our region. You’ve certainly given me something to think about. J > It is partly money, but not entirely. The real lack is in imagination and local initiative. In a few cases, local communities (mostly rural) have taken over the library from the County, and they are a great success. I recall one case where the same staff who had been made redundant by the county came back a few days later and were free of the remote deadening hand of county politics and bureaucracy, and turned things around. Some of these libraries pay a n annual fee to have access to the wider County stock. D and I love libraries!! That’s one big difference between your libraries and ours. In Maine, our libraries are supported financially by the towns and cities they are in, and most libraries are independently run by a board of trustees. Unfortunately, this does not make our libraries immune to budget cuts. I was on the board of trustees of our town’s library, and for several years we had to fight against draconian budget cuts. Sigh. Libraries always seem to be targets for slashing the budget, and in our town, it’s a very, very minor expense. Finally, not surprised that you and D love libraries. This is good advice, Laurie! A great way to support writers. It never hurts to request a book for your local library. Good idea. I’ve been a bit slack about using the Library over the last couple of years.